Photo courtesy of The Rosé Project. 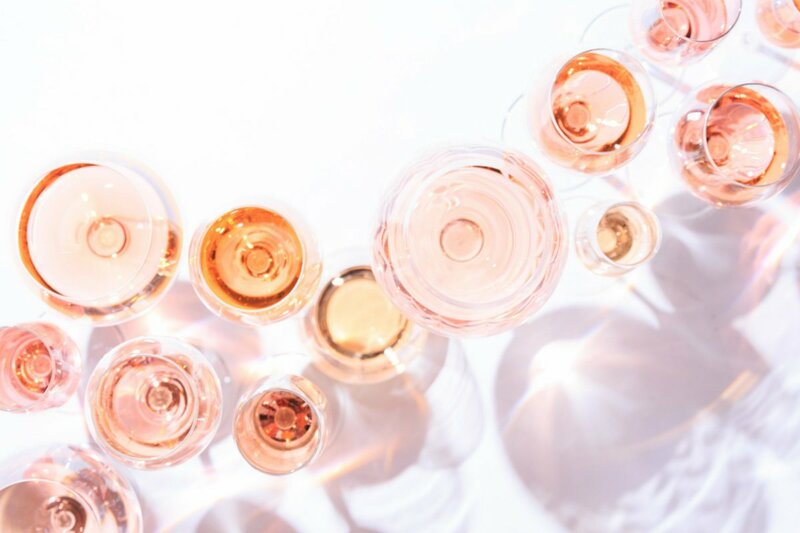 In honor of National Rosé Day, we tapped Kristin Tice Studeman – founder of The Rosé Project, a rosé-focused pop-up dinner series in New York City – for a list of her favorite restaurants, bars, and wine shops for indulging in the perfect glass of pink. One of my favorite wine shops to pick up great rosés from all over the globe. If you are looking for more unique rosés that pair well with food (like cured meats and cheeses), it's worthwhile spending a little extra for Gut Oggau or Roc d'Aubaga. Don’t be afraid of deeper-hued rosés. Darker doesn’t always mean sweeter. Otherwise, Domaine de Marquiliani rosé from Corsica, Dúzsi Tamás from Szekszard, and Ameztoi from Pais Vasco are excellent, affordable choices. Another one of my go-to wine shops that specializes in naturally made and rare wines from some of my favorite rosé regions, like the Loire Valley. I’m excited about the Domaine des Terres Blanches BB Rosé (from Loire) that they just got in. It’s made from organic Gamay grown on a unique terroir of sandstone and tastes amazing with charcuterie or crudité. If you are looking to get funky with your rosé, try Dogma Rosé from Austria. Think: sour beer, tart, just really different. 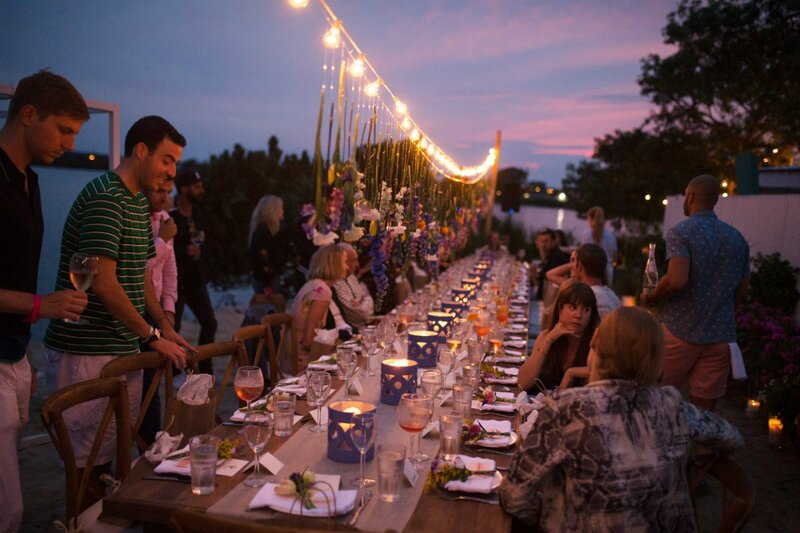 A Rosé Project hosted dinner. Photo courtesy of The Rosé Project. If you find yourself near Union Square, this spot on 8th Street is a favorite of The Rosé Project. This summer, they are focusing on great American rosés, like Idlewild "The Flower" Rosé from Mendocino. Twin Peaks fans can also find Kyle Maclachlan's Blushing Bear Rosé from Columbia Valley. If you’re headed to a picnic or the beach, they have some of the best canned rosés out there, like Drink Ramona by my friend Jordan Salcito. At golden hour, these sister restaurants are unbeatable. 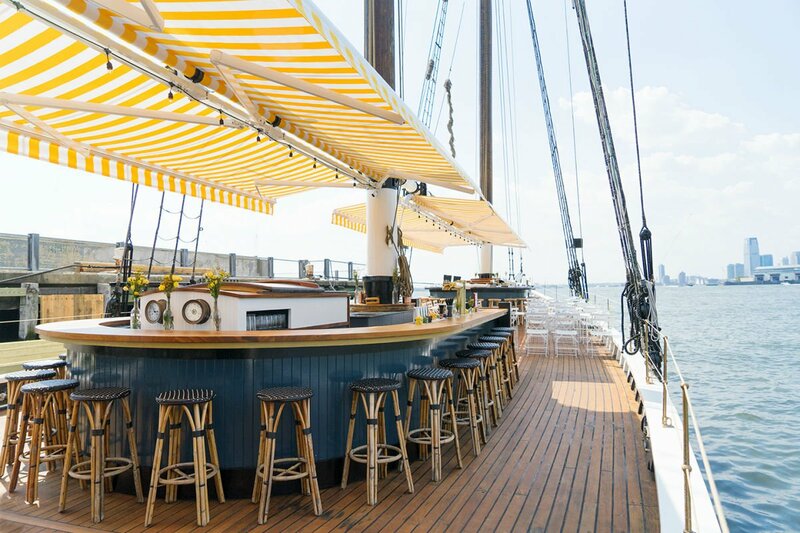 Rosé and oysters on a boat, how can it get better than that? If you want to sample several excellent rosés at once, go to this wine bar and restaurant (a favorite of serious wine drinkers) in Union Square for the “Will You Accept This Rosé” flight. Visit my friend Victoria James, the beverage director at Cote, for an epic Korean BBQ feast and rosé. She is the author of Drink Pink: A Celebration of Rosé and an expert on all pink drinks, so you’ll be in good hands. Worth nothing: The frozé is excellent. 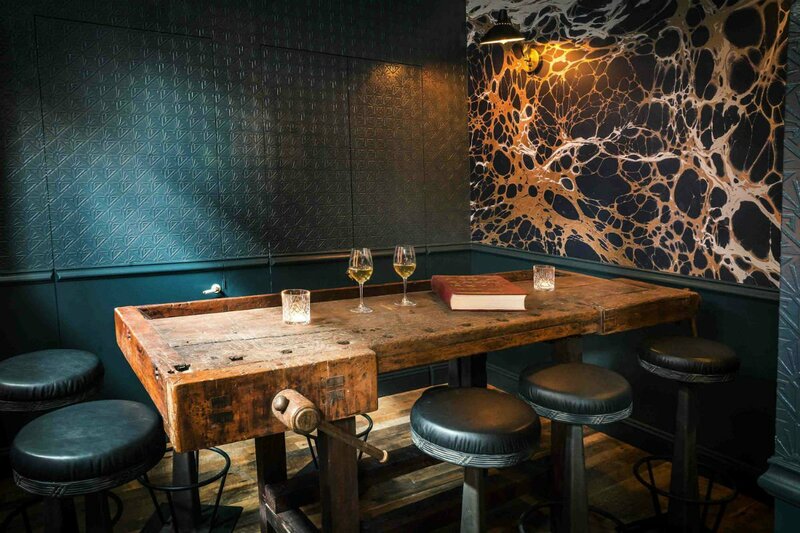 Downtown in Nolita, this outpost of the Parisian wine bar is one of the best in New York City with an excellent rosé list. All the sommeliers go here when they are off-duty. Don’t miss the cacio e pepe popcorn — it’s unreal and goes well with pretty much any rosé on the menu. Go to this Italian joint for a super fun range of mostly Italian and French rosés. The head sommelier Kimberly Livingston Prokoshyn has helped curate wines for many of our dinners. Starting June 30, 2018, the intimate downtown bistro is going to be serving the 2017 Tempier rosé by the glass. Tempier is one of the most beautiful expressions of a classic Provencal rosé you can find. People scramble every year to get their hands on a bottle and it goes fast. Take a day trip to the North Fork of Long Island to see the vineyard and winery of my favorite local rosé brand. Follow The Rosé Project on Instagram for more details about their next dinner in New York City on July 10, 2018. Kristin is a New York-based writer, editor, and founder of The Rosé Project. You can follow her on Instagram at @kristinticestudeman and @roséprojectny. She travels for the thrill of sampling the most delicious meal or bottle of wine she hasn't tried yet.